Whatsapp Web - Whatsapp was founded by Brian Acton and Jan Koum, 2 former Yahoo employee in 2009. Whatsapp has become the most used instant Messaging application in the world. Whatsapp is cross-platform instant messaging make it people easy to communicate although they have a different platform. I think this is the most important feature that most people love at that time. Whatsapp once charged $1 per year to each user, this was to pay their operational cost like maintain servers and to pay the employee. In 2014 Facebook acquired Whatsapp for about USD19,3 Billion, and they make it free app to everyone because Facebook already has robust infrastructure around the world. Many people still wonder how Facebook makes money with Whatsapp, my opinion is they use Whatsapp as a big data tool so they know what people doing with Whatsapp. They can later use this data for their advertising program on Facebook. Whatsapp runs in Android, iOS, Windows Phone, Symbian, and Blackberry. They also have Whatsapp web version where we can use in companion with existing Whatsapp in a mobile device. We are going to reveal more information about Whatsapp Web or WA Web we called it here in Indonesia. 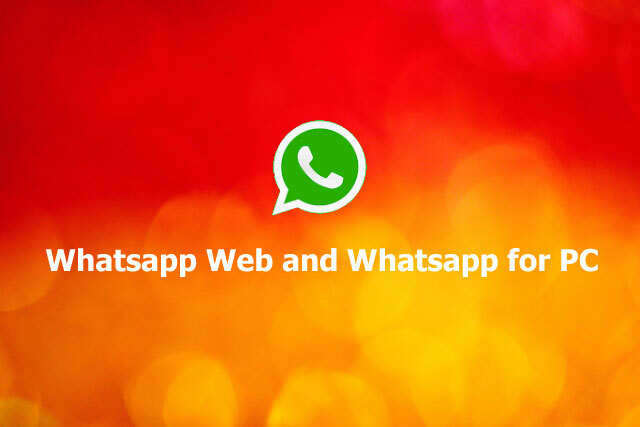 Whatsapp web is an extension of WhatsApp to be used in a modern Internet browser. You still need to have Whatsapp in your phone to use Whatsapp Web. By using Whatsapp on the web it will easier for people to answer text chat, send pictures, and video from many people. While in the mobile device will be much harder as the keys are smaller and phone display also smaller compared to a computer display. 4. You can use WhatsApp Web from the computer. I always use it when works with the computer. I don’t have check my phone, every times new messages arrived. I only click the tab where I opened Whatsapp Web on my computer and answer it from there. I can reply to many text messages from people using a computer it's much easier and faster. 1. You cannot use WhatsApp web independently without your WhatsApp on the phone. 2. You will need a modern Internet browser. However, for some cases, you can use Whatsapp Web without scanning QR code as long as you already use it before and also you are not logged out from your Whatsapp Web session on the phone. Open https://www.whatsapp.com/download/ on the right section you can choose to download Whatsapp for PC or for Mac. After installed you can use Whatsapp for PC exactly the same as Whatsapp Web. Using Whatsapp for PC is the same with Whatsapp Web, you will need to scan QR code on the Whatsapp for PC from your smartphone. Whatsapp Web or Whatsapp for PC will be very useful for Customer Service or people who communicate often with their customer or friends.